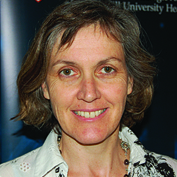 Dr. Louise Pilote is Professor of Medicine at McGill University. She is a practicing inter-nist and Epidemiologist at the MUHC’s Montreal General Hospital. She is currently leading two major research projects in the areas of cardiovascular disease, access to care for patients with congestive heart failure and pharmaco-epidemiological studies of cardiac medications.